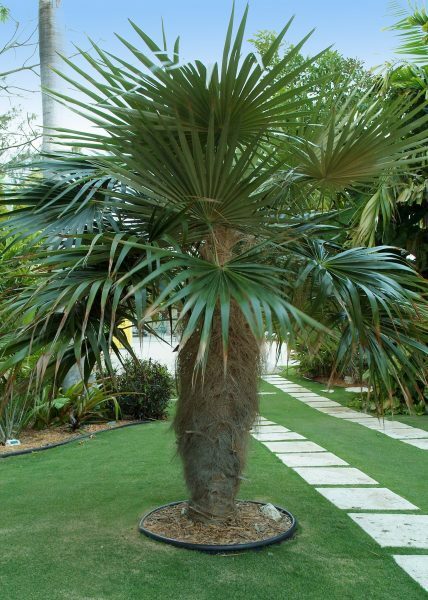 Solitary, fan-leafed palm, with hairy fiber covering trunk. Trunk is 4 to 5 inches thick and leaves silver underneath. Overall height to 20 feet with 8 foot spread. Requirements Grows well in alkaline to slightly acidic soils. Growth rate very slow. Can tolerate short cold dips into high 20s. Some salt tolerance. Sometimes extra Mg.